Despite political developments in Washington, D.C., it looks like sunny days ahead for renewable energy in Virginia. Progress toward an electric grid powered by renewable energy has been frustratingly slow to many Virginians. There have been two main obstacles to ramping up production of wind and solar power in the Old Dominion: cost and reliability. Wind still has high hurdles in Virginia. There is a limited number of on-shore locations suitable for wind turbines, usually atop scenic mountain ridges, and projects run into stiff opposition from local residents. Meanwhile, the massive expense and risk associated with jump-starting an East Coast offshore wind industry looks insurmountable. But solar is a different story. The cost per kilowatt continues to decline, making solar increasingly competitive with natural gas. Meanwhile, entrepreneurs are devising an array of strategies for coping with solar’s biggest drawback: the fact that utilities can’t turn it on and off in response to changes in electricity demand. With the goal of advancing wind and solar, many states have embraced Renewable Portfolio Standards that mandate targets and timetables. 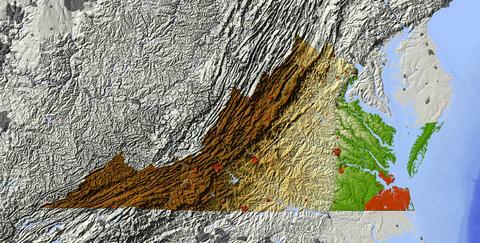 Virginia’s goal of achieving 15% renewable production by 2025 is voluntary, however. Therefore clean power advocates have counted on the Obama administration’s Clean Power Plan to promote clean energy indirectly by compelling power companies to reduce CO2 emissions. Politically, that approach didn’t work out well. The election of climate-warming skeptic Donald Trump as president and his appointment of Scott Pruitt, a Clean Power Plan foe, as the head of the Environmental Protection Agency, suggests that the Clean Power Plan will be drastically weakened, if not killed outright. But that doesn’t mean renewables are dead in Virginia. Market forces are shifting dramatically in favor of clean energy. Instead of pushing government-driven mandates, clean power advocates need to back entrepreneurial, market-driven solutions. Here are some examples of energy innovation here in the Old Dominion that make solar an increasingly attractive proposition. AES Energy Storage. Arlington-based AES Energy Storage is building a global enterprise selling industrial-scale batteries to make the electric grid cleaner and more reliable. The low-hanging fruit is using batteries for “frequency regulation,” fine-tuning the frequency on the electric grid, but AES also is using batteries to offset the intermittent output of solar panels. Dominion Voltage Inc. Richmond-based Dominion Voltage Inc., a non-regulated subsidiary of Dominion Resources, has developed a Conservation Voltage Reduction product that works in conjunction with smart meters to reduce voltage and conserve energy — up to 4% may be achievable — and provide the flexibility required to integrate solar into local distribution circuits serving homes and businesses. The company claims that it can boost the capacity to accommodate solar on distribution systems from 20% to 80%. Opower. Arlington-based Opower, purchased earlier this year by software giant Oracle for $532 million, sells data services that track energy-usage trends over tens of millions of homes. More recently, the company has developed services that help utilities engage with electricity consumers — notifying them by text, for instance, if their energy usage is spiking — in order to better manage the electric load. Tesla Motors. The Department of Motor Vehicles ruling that allows Tesla to set up a retail operation in Richmond represents more than a victory for competition in the automobile retailing sector — it will bring Tesla’s broader strategy to transform the electric grid to Virginia. Batteries in electric vehicles represent a potentially massive source of energy storage that can be turned on and off at will (at least when the cars aren’t driving). Tesla CEO Elon Musk’s grand plan is to EVs with solar panels to make rooftop solar a more economically viable proposition than it is today. 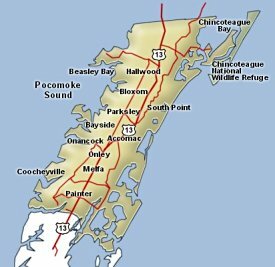 An added advantage for renewables in Virginia is that the state is located in the PJM Interconnection service territory. PJM uses sophisticated auctions to manage the high-voltage transmission grid and create markets for clean power. PJM has said it currently has the capability to handle up to 30% renewable energy sources on the transmission grid without creating reliability issues. On the demand side, major players in the booming data-center industry — Amazon Web Services most notably — are committed to expanding the use of green energy. And just last month, 18 major employers including big names such as Walmart, Best Buy, Ikea, Staples and Mars sent a letter to lawmakers and the State Corporation Commission asking them to create an “explicit legal framework” to expand access to renewable energy. The employers had two main requests. First, the state should allow companies to enter into Power Purchase Agreements (PPAs) with non-utility service providers. Second, utilities should offer a tariff that lets big electricity customers opt into a renewable-energy portfolio maintained by electric utilities. Such a tariff would give the corporations access to a stable, cost-effective green power without impacting other ratepayers. Creating that “explicit legal framework” is where the action is now. So, despite the imminent demise of the Clean Power Plan, the future of renewable energy in Virginia — particular solar — still looks bright. This entry was posted in Energy, Infrastructure and tagged James A. Bacon, Solar energy, Wind power. Bookmark the permalink. I guess it depends on how you want to view solar with respect to thinking it’s “reliable” or not. Hawaii – which burns diesel oil to generate electricity at 40-50 cents a KWH is not dissuaded from adopting solar because it is “unreliable” and not “dispatchable”. They are using solar as a way to reduce their dependence and use of diesel oil – WHEN THEY CAN – but harvesting solar when it is available and using oil when it’s not. That’s NOT “unreliable” – it’s actually a way to maintain current reliability while reducing costs. And if Hawaii can do it with diesel oil powered turbines – Virginia can surely do it with natural gas turbines. It’s been stipulated for some time now that the grid would have to get smarter in order to accommodate the variability of solar and wind – for the grid to be able to handle fluctuations caused by the sky clouding or winds dying… but that’s different from “reliability” and the technology to handle shifting demand and shifting inputs already exists with analog devices but now they are being replaced with digital/electronic devices which are fast, more flexible, cheaper so you can use more of them – AND controllable. To give an example – I have had a utility-controllable switch in my house for 20 years. REC put that switch in for them to be able to turn off my water heater during high demand periods. They got permission to put it there in exchange for them repairing the water heater when elements burned out. So we’ve had that ability for the Utility to control remote equipment for quite a while now and I do wonder if EVERY house had that water heater controller – if that would contribute just as much to a reduction as all this more modern stuff they are now touting. It’s NOT what Dominion is “talking” about via it’s PR folks. It’s what Dominion is actually DOING – right now – that consumers are seeing directly at their own house – that is an improvement and benefit TO THEM! So let me give an example of EXCUSES to NOT allow things that WOULD benefit rate-payers. IF the utility CAN cut off a water heater and have been able to do that for 20 years – then why can’t they also cut off a solar input source if it is “too much” for the local grid and ONLY allow residential solar to feed the grid – WHEN the grid CAN accommodate it and not when it cannot? why haven’t we been doing that already? Don’t give me more excuses about why Dominion does not want to do that – and don’t follow that up with PR burbs about all the new technology that Dominion is “investigating” when almost none of it has actually been deployed to actually benefit ratepayers NOW! There is no excuse for Dominion to NOT deploy technology to benefit ratepayers at least in the same timeframe that we are seeing such technology deployed by other utilities and private sector companies – and in Virginia – its always excuses as to why its not “feasible” which seems to be the universal answer used when Dominion cannot make money off of it or worse it could undermine their revenues? So we have this obscene situation where Dominion cannot and will not deploy proven technology to save ratepayers money – because ostensibly it won’t help Dominion’s bottom line. And we have the SCC basically supporting that position when the purpose of the SCC is to protect consumers.. not monopolies. Dominion needs to change their attitudes and the SCC needs to change the rules so that Dominion can make money by deploying new technologies not be forced to lose money because of the advent of technology. In such a world – Dominion would install – and use – thousands of residential solar panels – use those panels to reduce the need to burn fossil fuels, when they can, and share the cost-reductions with the homeowners by giving them a reduction in their rates or even better putting a monitor in their homes as part of the deal so they can see their own use and see when their solar was giving power to the grid and when the grid itself was experiencing peak demands and water heaters turned-off until peak demand passes. We have a 20th century grid, a company and a regulator the SCC that see their role as protecting their 20th century business model and using talking the talk PR without actually doing the things the PR is touting… it’s always “in the future”. By the way Tesla powerwalls which appear to be the leading edge in storage – are not a solution. A standard Tesla powerwall is reported to require 38 years to pay for itself and that does not count the solar installation needed to feed it. The conventional wisdom of wind power in Va not being feasible is total 100% balderdash! The idea that all of our mountains and shores are “too scenic” is just not true. Most of our mountains are “folded” – in other words there are multiple parallel ridges and plenty of ridges where there are no roads and few homes that would be impacted. Many of these ridges are actually in coal country where mountaintops have been blasted off but apparently wind turbines will “harm” the viewshed. What BLATHER! Next – the shorelines. Yes there is a lot of scenic shoreline when turbines are not going to be acceptable – but there is also a lot of shoreline that is salt marsh – full of salt marsh mosquitos and not usually a place where someone wants to put a house where the “waterfront” is basically miles of vegetation before you actually get to the ocean or bay. There’s another venue. They’re building a second bridge to the Chesapeake Bay Bridge Tunnel where winds are almost always blowing. A PPA would seem to be a perfect win-win – a new bridge that supports both a roadway and turbines. Again -this boils down to as many excuses as Dominion can generate – when all around us both north and south and west – other states have managed to find acceptable venues for wind. What is Dominion doing instead? Well they seem to have no “scenic” or “not practical or cost-effective” qualms with their pipeline nor their power lines over the James. So they cannot team up with Transco – to ADD to an existing pipeline – only where it is truly needed, and only on existing rights of way unless there is no feasible alternative. Ditto for the power lines over the James. It’s just plain bogus that there is no other option….. there are other options – and I’m not even convinced that they will cost more – when Dominion structures such alternatives such that they will cost more – on purpose… just not a legitimate way to deal with alternatives. If it’s so easy installing wind turbines on Virginia mountain ridges, why hasn’t anyone managed to do it yet? Apex Energy appears to be close, but it still isn’t there yet — and even that’s just one wind farm. As for offshore, why hasn’t any other state managed to install offshore wind (other than a single small project off Block Island, R.I.)? It’s because the industrial infrastructure and the economies of scale to do so do not yet exist to install wind at a remotely competitive cost, and that infrastructure/scale isn’t close to existing. this is in West Virginia – in the same place that mountaintops have been blasted off…in close proximity to Virginia in the same “folded” terrain. Offshore wind is a bigger financial challenge – agreed. but there ARE acceptable venues for wind in the folded appalachians where they straddle Va and WVa , no question about it. quite a bit of it is NOT ocean-front … it’s vast areas of unbuildable and inaccessible sand islands and vegetation. It’s pretty clear to me that Dominion talks the talk PR-wise but is full of excuses as to why they’re not going forward on almost all of it – and at the same time they are pursing projects that DO have scenic impacts for which they claim they have no options to avoid. so which is it? they play one side of the street on renewables and the other side on what they DO want to pursue. And those who complain about the scenic issue – do they not care about where mercury rains down from coal plants and what happens to the coal ash as long as it’s not where their scenery is? It’s sort like wanting Interstate highways and cell towers but now where they are near you, eh? And Dominion itself? Can’t build wind turbines because of scenic impacts but can build pipelines and powerlines with scenic impacts.. ?? but I’ll give the Offshore wind – pretty expensive and no one else champing at the bit. Larry- re: your picture, that fantastic Appalachian wind resource mountain top that cuts thru PA, MD, WV is a marvel, but it is not in VA. Why Dominion couldn’t build more over there, I dunno, but the most fun with renewables comes when we own the property and get the jobs. I monitor some of those turbines every trip to Pittsburgh, they were off (not spinning) in my recent trip. Meanwhile there already are a bazillion wind turbines along that ridge, which makes and incredible drive if you want to experience some by the road look like they may slice your car in half. Hope the eagles are not getting whacked too bad. 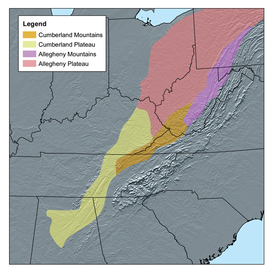 there are quite a few mountainous places IN Virginia along the WVA border especially in Southwest Va and ACTUALLY the very SAME places that Dominion is now threatening to use Eminent Domain to put pipelines..
Do you hear Dominion saying they could put turbines where they are proposing pipelines? Nope. and if you’re REALLY worried about birds – the biggest killer of birds are cars, cats, windows AND mercury from power plants and not a peep from the “you’re gonna kill the birds” hand wringers about the millions of birds killed from these other things. TBill: Re why not WV? From the point of view of access to the PJM wholesale marketplace for generation sales, the Virginia-West Virginia boundary is irrelevant. Dominion also, however, wants to be a booster of the local Virginia economy where it has lots of retail customers and local political support to stroke; that is why it is looking to build its own projects mainly in VA (and similarly, eastern NC). BTW, I love that wind turbine vista on US 48 too. It’s simply NOT the case that no-one is doing wind in the mid-Atlantic. As your picture shows, Larry, there are some good sites in WV. But what you need for wind power is not just one but FOUR things together: 1. a windy location (duh! ), 2. a nearby transmission substation with extra capacity to accept inputs, 3. cheap land right where you want it, and 4. local (local government) support. Such places are hard to come by. The very exposure that makes a site particularly windy (high on a ridge or overlooking a wide flat expanse of water) is also attractive to vacation homes and layers of environmental ‘protection.’ And most transmission facilities are needed, and have been built, where the loads and people are, not in remote areas where the land is open and cheap. Where are the exceptions? That is where you find those clusters of newly-built wind turbines — e.g., in West Virginia up on the Allegheny Front near Mt. Storm, the site of two existing Dominion generating stations and multiple big transmission lines, remote enough that the land could be had relatively cheap without a lot of community opposition (many in the community already work for Dominion). DVP was going to test the waters, literally, with its proposed off-shore wind project, but that fell through as discussed earlier on this blog. I don’t agree with the sentiment that Dominion is two-faced about its support for innovative generation. First of all, there is plenty of independent developer competition out there already for the better solar sites, and for the better wind sites too (except none of those are around Dominion’s load centers so they don’t attract attention). And second, why should Dominion itself be encouraged to invest in renewables generation on a utility-sized scale when that’s a form of generation that lends itself expecially well to distributed, small-scale, customer-owned projects? Dominion has been a pioneer in “proof of concept” development and that’s a good thing, but it’s time for them to back off now and let others, independents, do solar, and wind too, once the example has been set, as it clearly has been. Don’t equate Dominion not building its own solar and wind units with Dominion not encouraging third-party solar or wind projects enough. By the way, LG, you say, “Do you hear Dominion saying they could put turbines where they are proposing pipelines? Nope.” I think it’s naive if not disingenuous of you to expect them, at the pipeline licensing/siting stage, to brag to the public about how the proposed gas pipeline could become a Christmas Tree of incidental electric generating sites. In any event it’s a different Dominion subsidiary doing the pipeline. More importantly, even if Dominion’s pipeline subsidiary bought these mountain properties (mostly it doesn’t buy them but acquires an easement over them), that does not mean there’s a transmission substation nearby to receive all that power. well yeah.. I guess if you said not only a pipeline but a BONUS turbine – all heck would break loose, eh! I think my point is that Dominion seems to put a whole lot more effort into some things that others – and at the same time they are bowing out PR patting themselves on the back – and yet – we just don’t see much of what they do PR on – actually moved forward to something real that truly has a beneficial impact on rate-payers. I DO hold them accountable for trying to shove down people’s throats the power-lines over the James when clearly there are reasonable alternatives that they have either refused to consider or have structured those alternatives in unreasonable ways so as to make them not feasible. I also think they COULD – at the least – provide a map of sites they think are candidates for wind and solar – that meld with their infrastructure and meet criteria for solar and wind feasibility. To SHOW that they ARE, in fact, forward-looking and intending to move the ball on the issues. there is no reason what-so-ever they could not allow solar in residential and put switches on it to turn it off if they can’t use it and then to actually be able to turn it on when they need it – and to do it in such a way that it is a positive value proposition to the homeowner/ratepayer. It’s the combination of how they operate between their excuses, their PR for pitiful things… and things they are not moving forward and then their hard-nosed efforts in other areas to go the extra mile – to get what they want. it’s incongruous when all of it is looked at in total. One of the “excuses” given for Dominion not doing things is that the SCC won’t let them which if true – makes them sound like they are so restrictive that Dominion can’t do hardly anything without getting their permission, yet Dominion had no trouble forming a subsidiary to do something that would not be allowed by the SCC. So why can’t that same subsidiary do things like build wind turbines or residential solar roofs with utility controlled switches, etc.? Dominion reminds me of someone who tries to convince you that they did the only thing that was possible – when clearly, it’s the ONLY THING they WANTED to do. I give them their due – in terms of being a corporation (like any) that wants to row their own boat – but all this PR stuff they fog the air with …is just so self-serving as to gag an elephant. Re: “Dominion had no trouble forming a subsidiary to do something that would not be allowed by the SCC.” No, not “not allowed” but simply “not under the jurisdiction of.” DOM had to get the SCC’s permission (and did) to set up this subsidiary, Dominion Transmission or DTI, and on a continuing basis would have to get SCC permission anytime they wanted to move assets or money into or out of DTI to its regulated subsidiary, DVP. In fact the reason for the separate subsidiaries is to simplify the bookkeeping by putting all the stuff that affects regulated retail rates into DVP and keeping it separate from the stuff that doesn’t. The other reason for DTI is that transmission rates, which are not regulated by the SCC, are regulated by the FERC. DOM, the parent, still owns and maintains all the transmission lines in its territory (although PJM directs system operations) and those assets are FERC regulated and I presume DOM moved them over to DTI as a matter of convenience so that, for regulatory reasons, DTI could handle all the FERC rate and regulatory stuff separately (most electric utilities separate their assets under different regulatory jurisdiction into different subsidiaries). DTI probably was also formed to engage in the constructing of transmission facilities for others — either as part of a group of owners including DOM, or simply as a contractor employed by other owners, like your co-op; either in the mid-Atlantic or anywhere else in the U.S. I don’t know if they have done any transmission construction elsewhere, but back in the 1980s they probably wanted to keep their options open. Re: “So why can’t that same subsidiary do things like build wind turbines or residential solar roofs with utility controlled switches, etc. ?” Short answer: perhaps DTI could, but that’s not how such things are generally done; they would probably choose to do any generation construction through their generation subsidiary, or energy management through an energy management subsidiary, since the things you list ordinarily would NOT end up in their retail electric rate base. If they really wanted to make such things a part of their retail rate base, they would also have to make the case to the SCC that the cost benefited all retail customers (not just stockholders). One of the more interesting things to me is the fact that Dominion created a subsidiary (Dominion Transmission, Inc, 1980) to pursue a for-profit business separate from it’s parent SCC-regulated monopoly. Dominion Resources has a market cap of about 47 billion and classified as a large Cap company. But I know less about non-monopoly-regulated Dominion Transmission and it’s finances and especially so with the 5 billion needed for the ACP. At any rate – Dominion and it’s subsidies are in the fossil fuel energy business – of getting it, moving it and selling it – and they more they do – the higher their revenues and profits. As far as I can tell – there is no arm of the company that is involved in renewables more than on a small pilot basis and in general they still seek laws and regulations that inhibit and disincentivize companies that market energy conservation and consumer level demand-side technology including renewables. It’s just not their game. They clearly do not see themselves as getting into that business nor do they really want other companies in Va to find it profitable either as their lobbying efforts in the GA amply demonstrate. They have no real motivation to get into wind nor solar other than if they get pushed or compensated for doing so – and even then only to do so as a way of better understanding it’s potential impacts on the grid and their business model itself. So , long story short, I don’t think they WANT laws changed so they can get into solar and wind and demand-side reductions as a business – to begin with. It’s just not their game – unless and until they see their current business model start to unravel.. and even then there is a real question as to whether or not they are the Kodak of electric utilities. Re: “As far as I can tell – there is no arm of [DOM] that is involved in renewables more than on a small pilot basis and in general they still seek laws and regulations that inhibit and disincentivize companies that market energy conservation and consumer level demand-side technology including renewables. It’s just not their game.” There are two parts to what you say. I think DOM is involved in renewables on more than a pilot basis — they have bought two largish solar complexes developed initially by other and they proposed a big one of their own which the SCC turned down — but their tariffs offer plenty of opportunities for others to build these also. And I think DOM is not consciously inhibiting and disincentivising energy management by third parties and we will see much more of that kind of activity. The real problem with energy management is, somebody needs to get out there and sell the concept to the large institutions and government installations that are the primary beneficiaries and targets — and that’s expensive and requires startup capital and startup smarts long before the profits start to trickle in. I think, over time, the on-site energy managers who learned these tricks in, say, New Jersey, will slowly trickle into similar jobs in , say, NC and VA, where they will go looking for equipment vendors and interruptible load aggregators and all those other sorts of third parties who do business in other parts of PJM but don’t exist now in central VA. But it’s not DOM that stands in the way; it’s inertia, and the lack of interested-customer density. I will say, there is lots more DOM could do to promote these concepts, even to the point of providing seed money and free publicity, but bear in mind, third parties are doing just fine in other parts of the same PJM marketplace where the same tariff provisions and prices are available for sales of energy management. What a ‘sunny’ picture you have painted about Dominion’s future plans. A truly sunny future would include more than some utility scale solar generation. It requires your “explicit legal framework,” and includes a willingness to move away from monopoly rate regulation to a system that encourages and supports building efficiency and on-site solar generation, and a grid to operate this more diverse system. The result will actually be a more secure and reliable electricity system, and with reduced grid demand, the important missing piece in the discussion above. Dominion wins today with “build more, sell more.” A new diversified system will save Virginia customers money, and won’t require building more gas plants and a pipeline to feed those plants. The ‘long-view’ is changing rapidly. Natural gas is currently the cheapest generation source in most of Virginia. Utility scale PV is the lowest cost generation in central and NW VA, wind in the western mountains, BUT those costs do not include the health and environmental costs of gas as a resource. Taking the long view involves more than making choices based on the current lowest cost. Here are 2 reasons Dominion should look more closely at the changing landscape: corporate commitments to clean energy, and a PJM rules change. Both reasons make more large, long-term capital investments in natural gas look very risky. First, close to half of global Fortune 500 Corporations have made public commitments to efficiency and renewable power. As you describe, corporations like the budget certainty of 15 year Power Purchase Agreements. Corporations now also like to advertise their sustainability leadership. Google is a catalyst. They just announced that, even with their energy devouring data centers, the company will be 100% sourced by renewable electricity next year. To reach their goal of 100% renewable power Google first looked for ways to use less. In-house expertise reworked things like computer fans and cooling systems to “deliver 3.5 times as much computing power … using the same amount of electricity” they used five years earlier. Next, since rooftop solar can’t generate enough power to run power hungry data centers, Google looked for renewable sources nearby. That meant creating new purchase options with local utilities, a process that helped create Duke Energy’s Green Source Rider. The rider, like the tariff suggested in the corporate letter, is a new class of service for large-use customers in NC, a change in NC’s monopoly rate regulation framework. Earlier this year, Deutsche Bank released an analysis that found solar energy will reach grid parity in at least 36 states in 2016. Storage prices continue to decline rapidly, and can now meet solar intermitency and peak demand. According to Jon Wellinghoff, former Chairman of FERC, utilities that continue operating in the old way are taking a risk that could leave them with stranded assets. Virginia and Dominion need to adopt a longer view. CA&W, you say, “Taking the long view involves more than making choices based on the current lowest cost,” and I agree with you; the utility is supposed to do that and the SCC is supposed to make sure they do that, and that’s what the IRP process was supposed to help them both do, and still, there’s plenty of room for improvement. But I wouldn’t get too rhapsodic about PJM’s change in its frequency control markets — all PJM did was act on FERC’s recognition that the market consists of two types of units deserving of two types of compensation. Dominion is better situated than most mid-Atlantic utilities in that it has a large pumped-storage hydro facility in Bath County, VA which it can use to sell in the fast-response part of that market and get the higher compensation. As for all that gas generation, LarryG is right, the dilemma for utilities is what to rely on when solar is not available, particularly in that period of the day just after dark when solar is gone but the load has not dropped off yet. This is not a quick-response issue but a several-hours-of-storage issue, and batteries are not up to the task — yet. something not well appreciated – is that you have to use electricity to pump the water back up – and that means you’re burning fuel to do that… so it’s actually use MORE power than it produces!!! so say – you used gas to pump the water back.. and then later let the water generate power – the actual “cost” is the gas you burned PLUS the cost of generating the hydro power. It’s not cheap – I don’t see how you could sell it as cheap as someone could – just burning gas directly to send to PJM. the theory behind pump-storage was based on the fact that baseload cannot ramp up or down quickly – so at night when you were still running baseload because you could not ramp it down – rather than just idle the turbines – you’d run the turbines to “charge up” that pump-storage-hydro “battery” that you could then use later the next day when peak demand exceeded baseload… rather than run peaker gas plants. it had a certain symmetry to it – when you had to run the baseload plants 24/7 anyhow but with the advent of combined-cycle plants – that are going to run both as baseload and peaker – you take shutter the baseload plants that are coal – had nothing to do with the EPA/CPP – it just made economic sense when gas became cheaper than coal. With the advent of combined cycle plants that can be baseload or peaker or both – I’m not sure that the pump storage plant is not near as useful to Dominion…. I’m betting the levelized cost per KW is way more than a gas plant. probably need to rethink that statement if solar is used to pump the water back during the day – instead of gas but then that leads to other issues involving how much baseload is operating – during the day – and at night … and why you’d not use that as long as it was available anyhow. I’m starting to think there is not a lot of “room” for solar if you have to run a minimum amount of baseload 24/7 anyhow – solar won’t displace the baseload unless there is a way to ramp baseload down when solar is good then ramp it back up when it clouds.. Otherwise – solar can only top it off when there is excess demand .. and even then you have to have backup for solar when it dies. so the grid could do just fine with baseload and peakers… and actually has to change from it’s original concept to accommodate solar.. or so it seems. Last I heard – the ROI on residential Tesla powerwalls was 38 years and that covered less than 1/2 of the power needs of an average sized home and there was no way they could carry the house through the night till solar was back up and running the next day. As I understand it – correct me if I’m wrong – the role of “storage” right now is to only handle temporary fluctuations but not the entire period of darkness when solar will be not generating. Until storage gets to that stage – the question is – what do we use to generate electricity at night? I don’t think battery technology is there yet… and not convinced it’s ever going to be “cheap” as solar…probaby not as cheap as gas. We can do demand side also – but in the end I don’t see how we do electricity at night without gas. Just joining in. Larry, where are you getting the 38-year payback for Tesla PowerWalls? That doesn’t correspond to anything that I have seen. It sounds like a calculation from a total off-the-grid solution. Battery storage is economic in many locations with commercial demand charges or residential time-of-day metering. Different battery chemistries are better suited to different types of applications. Lithium-ion is cheaper and better for fast response, shorter-term applications such as frequency and voltage control. PJM was a pioneer in some of these application but other areas are now outstripping them. Flow batteries or other technologies appear to have an advantage for longer-term discharge and recharge applications. Acbar is correct in saying that these applications are just getting underway, but at the speed that battery prices are going down they might be widely used sooner than we expect. Given that solar is making gas-fired units uneconomic in California now, we might begin to see new applications. Some have suggested matching battery storage with gas-fired plants. This allows the combined-cycle plants to operate at peak efficiency all day long, rather than cycling throughout the day, which they are not especially good at. Solar output would be used whenever it is available. Excess generation from the gas-fired plants would go the batteries and would be fed back into the system as the conventional system must ramp up in the evening as the sun goes down. We will see rapid innovation in this area because the prices of solar and storage are coming down so quickly. geeze… I guess there are different ways of thinking about this but my thought was that of the 3, solar would be the cheapest to generate, gas next, and then storing/retrieving it or perhaps just compare the cost of using excess solar to store verses using gas to store .. but why would you burn gas to store at all? You’d not need the gas when solar was generating … but then you’d need gas at night when solar was not. Burning gas during the day to store and then retrieve later is going to be more expensive than just burning gas at night, right? but how about you give me one that you believe in credible? and what I’ve seen about utility storage is to smooth the fluctuations not go for hours on storage . in the end – what powers the grid at night? but perhaps you have some good links that show that. Icbar you are right about VA’s hydro being able to operate as fast response … I don’t really know much about it, but I would add to your comment about the IRP. Given PJM’s responsibilities for the grid, there are lots of people out there who say the IRP is an outdated exercise. What I read made sense, but again I do not know enough to comment further. Glad to see Tom’s comment about storage. In addition, I see the difference between distributed and grid storage, not just the idea of short-term and long-term. The microgrids to our north are all beginning to install solar and storage to avoid the devastation of hurricanes to the system. Islands with diesel sourced, and therefore expensive, electricity are converting to solar and storage. They too are essentially a microgrid. Here is one. “Thanks to SolarCity’s solar panels and Tesla’s lithium-ion energy storage, the island of Ta’u in U.S. territory American Samoa now receives nearly 100% of its power needs from a microgrid enabled with solar power and battery storage” … The island “has gone from a power system dependent on burning over 100,000 gallons of diesel per year to a grid powered almost exclusively by solar+storage. 1.4 megawatts of SolarCity panels and 6 megawatt-hours of Tesla batteries now meet the energy needs of the remote island’s 600 residents, along with local businesses and essential services like a hospital and police and fire stations. CitiGroup thought the 2030 breakdown might be 20-40% distributed – 20-40% central grid and 30% efficient buildings. They see that central grid generation requirements could be cut 50%. Storage does appear to be progressing very fast. Two recent announcements brings to at least five the number of large factories — often termed “gigafactories” — that are being built to manufacture batteries. Even if they are car batteries …they can be used to aid the grid. If 8 million dollars worth of solar and Tesla powerwalls is cheaper than 110,000 gallons of imported diesel fuel – then perhaps things are changing. 8 million dollars a year for 600 people? ouch! that CAN’T be right. I’ve always said – the first places we’re going to see real solar take hold is on islands that use diesel to generate electricity -at about 40-50 cents per kwh. But the number that solar/Tesla has to best on the US mainland is more like 12-15 cents per kwh… one third of Tau’s costs for electricity but even then I’m not yet convinced of the dollar numbers for Tau. Don’t get me wrong – I cannot wait to see turnkey solar/Tesla that can replace grid power – but I’m not convinced we’re there yet. Most of what I read about Tesla is that it has a 20-30 year and more ROI for residential. In Australia it’s still more than 20 years for grid electricity that runs 30 cent kwh which is interesting because 70% of it’s electricity comes from coal. I could be better convinced by seeing some actual cost data which is maddening difficult to find actual costs in articles about the Ta’u solar/Tesla project. References seem to indicate it was funded, at least in part by the EPA and Solar City as a demonstration and that the solar/Tesla was 8 million dollars. anyone got some hard data on the money?